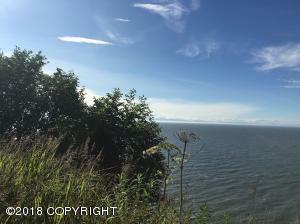 DESCRIPTION: Enjoy the sounds of waves crashing on the beach or creek running with lots of privacy at the end of the road. Inlet and mountain views from the two bluff front lots. Gravel driveway already in. Creek runs along the back lot and would make a great guest cabin location. Lots also listed separately. DRIVING DIRECTIONS: South on Sterling Hwy towards Clam Gulch. Just after Mile Post 120 turn right on Jellyfish Ave. Take the left onto Steamer Street and 2 lots will be on the right and 1 on the left.